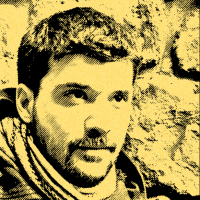 Monitoring python cron jobs with Babis // Read at G's // A personal blog from Giorgos Logiotatidis. Babis provides a function decorator that will ping monitor URLs for you. It will ping a URL before the start or after the end of the execution of your function. With both before and after options combined, the time required to complete the run can be calculated. You can also rate limit your pings. So if you're running a cron job every minute but your check window is every 15 minutes can you play nicely and avoid DOSing your monitor by defining a rate of at most one request per 15 minutes with 1/15m. In some cases network hiccups or monitor service maintenance can make Babis to fail. With the silent_failures flag you can ignore any failures to ping the defined URLs. The most common use of Babis is to ping a URL after the function has returned without throwing an exception.